At over 4,000 feet, Mary's Peak is one of the tallest points in the Oregon Coast Range. Our version is a bit smaller, but this surface-ripened cheese made with hand-ladled curd ranks high in flavor. 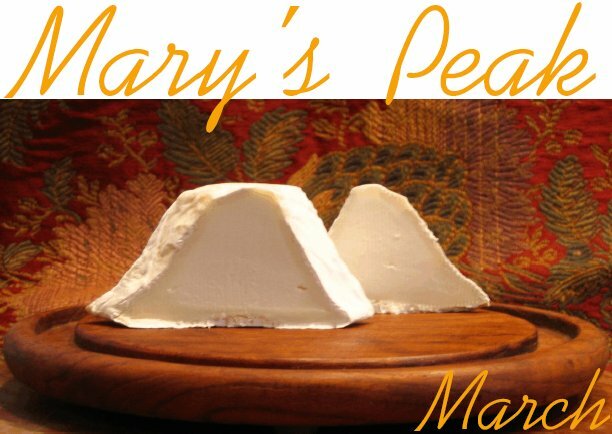 Like all of our farmstead aged cheeses, Mary's Peak will gradually change from a compact, dense texture inside the edible rind to a smooth and creamy liquid when fully ripened. Once the cheese develops to this point, we encourage you to open the rind to reach the savory interior without spilling it on the plate - just cut off the top of the pyramid, leaving the remainder of the rind to serve as a ready-made bowl, just right for dipping in crackers or chunks of warm bread. Click here to see a demonstration of ripe-cheese-rind-opening.